LESReady! Disaster Plan – LESREADY! The purpose of the LESReady! Disaster Response Plan is to aid the LESReady! coalition in providing a coordinated and efficient response to disasters on the Lower East Side. The plan underscores the four core elements that LESReady! addresses as a community coalition: Preparedness, Communications, Community Response, and Long- and Short-Term Resiliency. Want to make your own Community Emergency Plan? 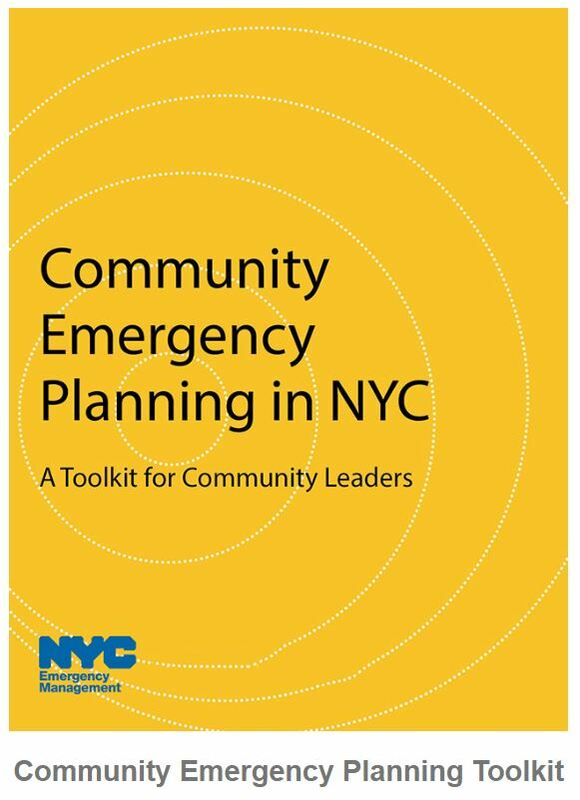 NYC Emergency Management has a template here.